On today's Radio Free Acton podcast, John Couretas talks with Daniel J. Mahoney, of Assumption College, about the legacy of Aleksandr Solzhenitsyn. The segment is about 20 minutes long, beginning at timecode 1’48” and running until 22’20”. David Walsh with a thoughtful essay at VoegelinView on Solzhenitsyn’s thought and life. Yet limitless cruelty could not succeed in its most important goal. It could not kill the human spirit. That is Solzhenitsyn’s legacy to world history. The Russian author Aleksandr Solzhenitsyn was a towering literary figure whose novels, chronicles and essays have lifted the lid on the horrors of the Soviet gulag network, which over several decades incarcerated millions of often innocent prisoners. Born a hundred years ago, Solzhenitsyn survived the brutal conditions of a gulag in Kazakhstan and it was this harrowing experience that provided the impetus for his best-known works, starting with his novella, One Day in the Life of Ivan Denisovich and culminating in The Gulag Archipelago, a multi-volume history of the Soviet forced labour camps from 1918 to 1956. Bridget Kendall is joined by two Solzhenitsyn scholars: Professor Daniel Mahoney from Assumption College in the United States and Dr. Elisa Kriza from Bamberg University; and by Professor Leona Toker of Hebrew University in Jerusalem, an expert on labour camp literature. 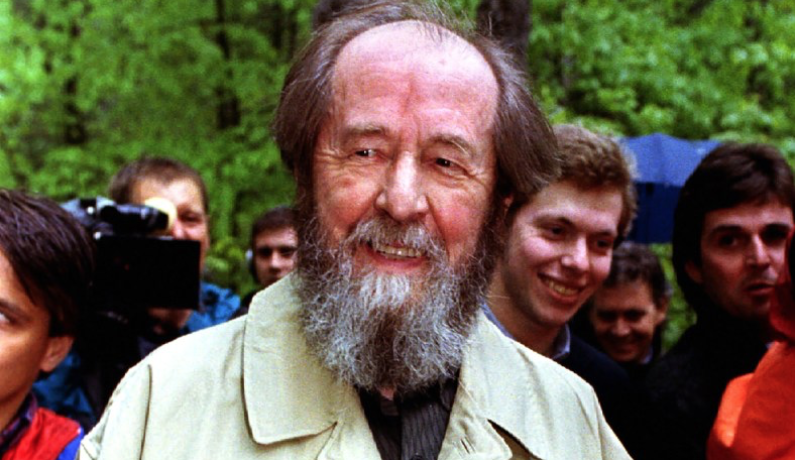 Over at National Review, senior editor Jay Nordlinger reflects on Solzhenitsyn’s legacy. In 2001, I interviewed a woman named Youqin Wang, a lecturer in Chinese at the University of Chicago. She had a life project: to memorialize the victims of the Cultural Revolution. She had been inspired by two writers: Anne Frank and Alexander Solzhenitsyn. When she was a girl in Beijing, she read Anne’s diary and started to keep one of her own. She even addressed it “Dear Kitty,” as Anne had. It was illegal to keep a diary. You could be killed if caught with one. This was in the middle of the Cultural Revolution. But Youqin kept a diary — destroying each page, shortly after she wrote it. At Beijing University, she found a copy of Cancer Ward. She thought she was reading about her own experience. How could this Russian understand her so well? Youqin was so excited, she couldn’t sleep. Later, she read The Gulag Archipelago, and her life was set: She knew she had to commemorate the murdered, just as Solzhenitsyn had. They should not be forgotten. 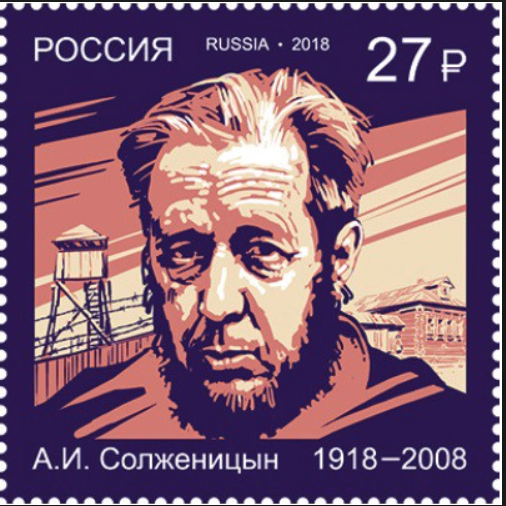 In connection with Solzhenitsyn’s centenary, Почта России (Russian Post) has issued a new first-class stamp (denomination 27 rubles) that goes into circulation immediately around the entire Russian Federation. CoLibri Books have just published a new collection of Solzhenitsyn’s thoughts, entitled “Россия. Запад. Украина” (“Russia. The West. Ukraine”), compiled by Natalia Solzhenitsyn. This is a beautifully presented slim 5x7 hardback of 176 pages. It opens with a 4-page introduction from the compiler, followed by a 110-page section entitled “Россия и Запад” (“Russia and the West”). This section, presented in chronological order, is comprised of 21 selections excerpted from Solzhenitsyn’s speeches, press-conferences, interviews, and essays, beginning with the Walter Cronkite/CBS interview of June 1974, and ending with the Der Spiegel interview of July 2007. There follows a 39-page second section entitled “Об Украине” (“About Ukraine”), comprised of 11 selections, again presented chronologically, from the prophetic part V, chapter 2 of the Gulag Archipelago (written in 1967), to the author’s Izvestiya article from March 2008, just months before his death. The book is rounded off by a 9-page “Краткие пояснения” (“Brief explanatory notes”) that place each selection in context and provide precise bibliographical information about earlier publications across various languages. This book, timed for the centenary of Aleksandr Isayevich Solzhenitsyn, collects his thoughts about the true meaning of Freedom, about Russia and the West’s false conceptions of each other, and about new dangers that threaten modern civilzation. Over at Ricochet, Kirk Kolbo looks back on Solzhenitsyn’s life and thought. What his critics never understood is that for Solzhenitsyn, politics was never the main thing. Over the course of a lifetime, as he explained to his biographer, he had moved “ever so slowly towards a position … of supporting the primacy of the spiritual over the material,” a philosophy to which all his works are a testament. At RFE/RL (Radio Free Europe Radio Liberty), Steve Gutterman reflects on Solzhenitsyn's return to Russia in 1994. Jack Fowler at the National Review reflects on Solzhenitsyn’s centennial, and posts the full text of Solzhenitsyn’s 1983 Templeton Address, which originally ran in the 22 July 1983 issue of National Review. Chloe Arnold of the BBC Russian Service interviews Richard Tempest, Alexander Strokanov and Margo Caulfield for a story on Solzhenitsyn's centennial. Michael Scammell’s op-ed piece in today’s New York Times. City Journal has posted a centennial tribute by Dan Mahoney to Solzhenitsyn and his thought. Wednesday’s Times excerpts Jordan Peterson’s foreword to the new Vintage Classics edition of The Gulag Archipelago. Peterson also reads his entire foreword on video here. 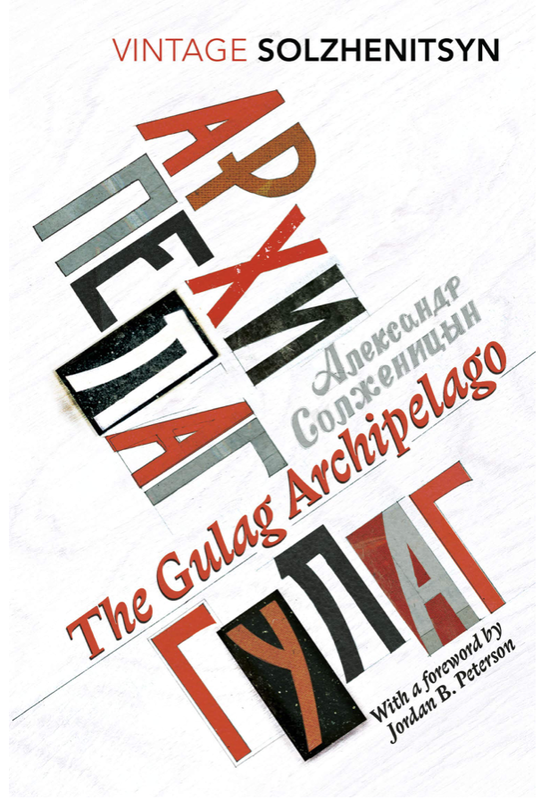 A beautiful new re-issue of the abridged Gulag Archipelago (authorized by Solzhenitsyn) is just out from Vintage Classics in the UK. This thoughtful new edition adds a profound foreword by Jordan B. Peterson that goes to the very heart of what this terrifying and uplifting book is all about, as well as a new glossary and index that will help readers orient themselves anew in Archipelago's rich material. The new issue of St. Austin Review contains several interesting articles about Solzhenitsyn, including an editorial by Joseph Pearce on the lasting significance of Solzhenitsyn; Daniel J. Mahoney on Solzhenitsyn’s “capacity to illumine the truth of things”, Fr. Benedict Kiely on the miniature “Remembrance of the Departed”, and Susan Treacy on Solzhenitsyn and Shostakovich. At last, Between Two Millstones, Book 1: Sketches of Exile, 1974-1978 is available in English from University of Notre Dame Press, from Amazon, or wherever books are sold. 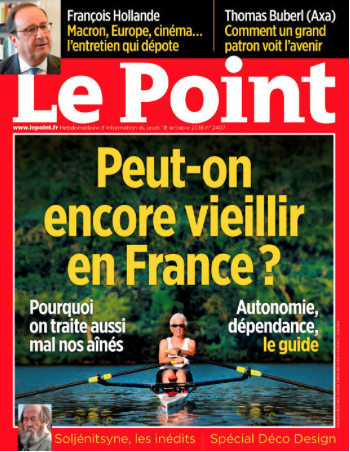 The current issue of the French weekly LePoint has excerpts from two new Solzhenitsyn titles forthcoming next week from Fayard. “Warning to the West”, a collection of Solzhenitsyn’s speeches to the Americans and the British in 1975 and 1976, is newly available from Vintage Digital, both on Amazon (UK) and iTunes (UK). During 1975 and 1976, Nobel Prize-winner Aleksandr Solzhenitsyn embarked on a series of speeches across America and Britain that would shock and scandalise both countries. His message: the West was veering towards moral and spiritual bankruptcy, and with it the world’s one hope against tyranny and totalitarianism.